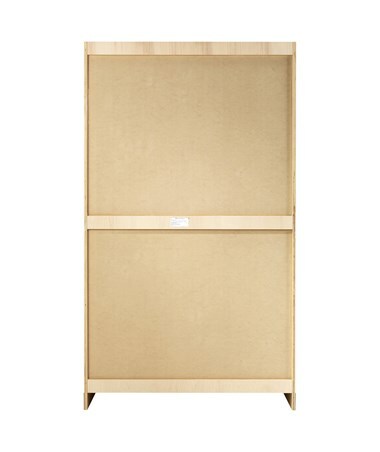 Featuring a cabinet with seven large drawers, the Diversified Woodcrafts Chart and Paper Storage Cabinet is spacious enough to accommodate large flat objects. With its weight capacity of 100 lbs. 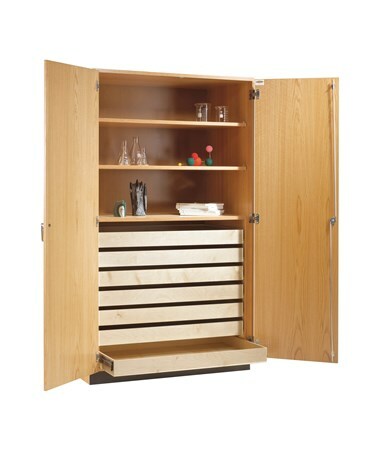 it can hold even rocks and insects collections. 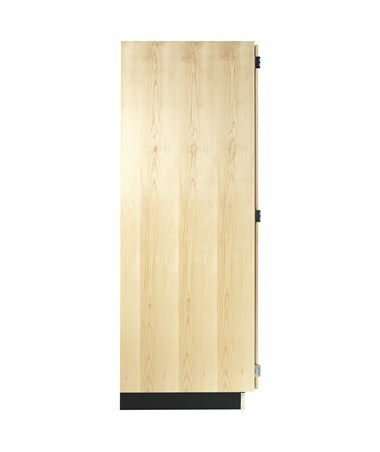 It features a solid oak and oak veneers construction and a rubber base molding. 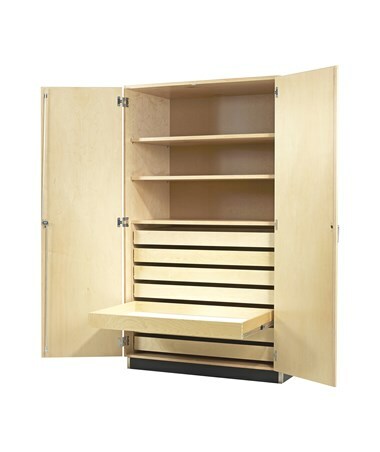 The Diversified Woodcrafts Chart and Paper Storage Cabinet includes three shelves in which two of the shelves can be adjusted to allow storage of over-sized items. 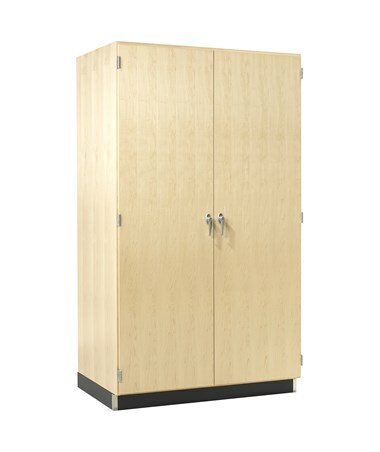 It also features two oak doors with a three-point locking system for storing valuables like expensive lab equipment, collections, and models. 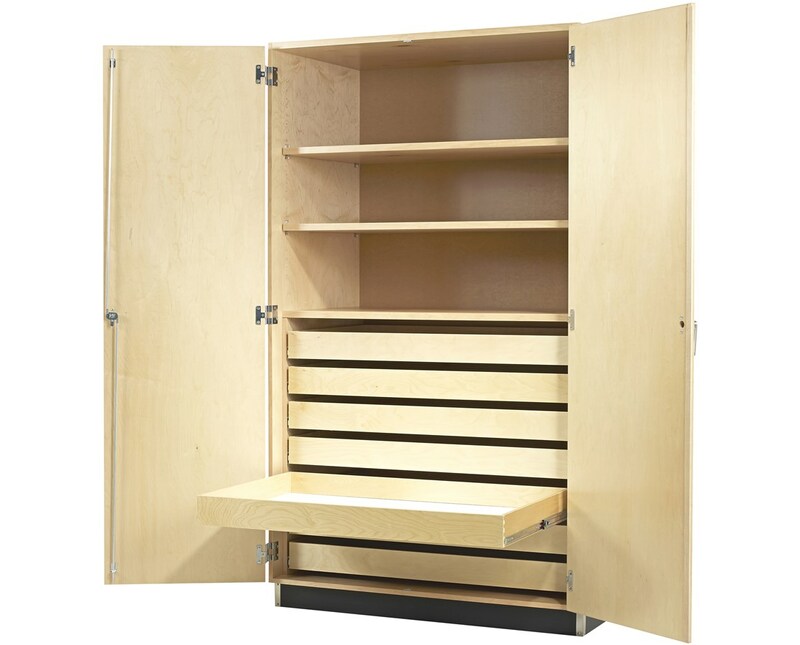 The drawers have full extension glides and measures 4"H x 44"W x 26" D.
SEFA compliant and MAS Certified Green, the Diversified Woodcrafts Chart and Paper Storage Cabinet are finished with a chemical resistant and earth-friendly UV finish. 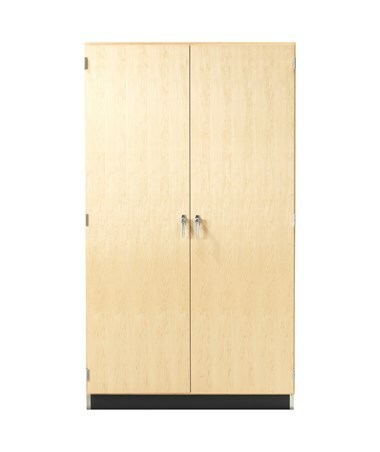 This cabinet has an overall dimension of 48"W x 30" D x 84"H. It also comes with a limited lifetime warranty. 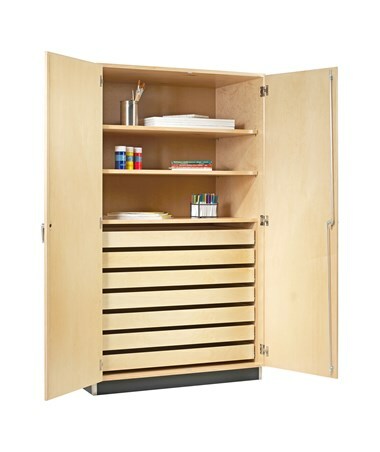 The Diversified Woodcrafts Chart and Paper Storage Cabinet is available in two different materials. Please choose from the drop-down menu above.